It’s that time of year when both high school and college graduates are looking forward to putting constant test prep and exams behind them and moving on to a (hopefully) more exciting phase of their lives. But in the digital age, not everything is so easily left behind. Ever since they were young, our sons and daughters have been developing an online presence that can define them just as much as high school diplomas and university degrees. Through their contributions to Facebook, chat groups, and other online forums, young adults have created a digital footprint that’s often not easy to change or cover up. A picture is worth a thousand words, so make sure that first impression is a good one. Again, what worked at school is unlikely to impress the recruiters. Also, be consistent and use the same photo on all your online platforms. Make it easy for people to recognize you and start to build your brand. 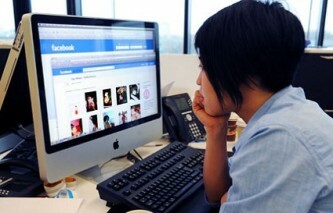 While you may need to clean up your Facebook account, an online presence is still vitally important. Make sure you are easy to reach online and off. By the way, that cutiepie@yahoo.com e-mail address is no longer going to cut it. Get a Gmail address that’s suitable for professional interaction. If you have a common name, add your middle name or use various initials to make it unique. While it’s important to make the transition from school to the workplace, you don’t want to leave everything behind. Make a point of keeping in touch with your school friends, teachers, professors, councilors, camp friends, sports coaches – anyone who could be helpful to you as you establish a career. The best way to land a job is still by word of mouth. It’s never too early to start giving something back to society. Pick a public service or a favorite charity and get involved. And don’t be shy about promoting your cause. It will make you feel good and people will look at you in a different light. While nobody likes a ranter, it’s important to have an opinion on the important issues of the day and be able to articulate your position when asked. Write as frequently as possible. Start a blog and promote it among family and friends. Be active on Twitter and other online forums. Be passionate without being strident; committed with being a fanatic. Nobody can be more like you than you. Conversely, it’s easy to tell when you are trying to be someone you’re not. Make sure your online presence is representative of who you really are. Turn your social networking pages into your own personal web site, and start marketing your own individual brand!